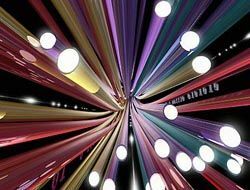 Rural areas get £362m superfast broadband boost | What Hi-Fi? The government promises to "have the best superfast broadband network in Europe by 2015"
The government has promised £362m to ensure that rural areas benefit from faster broadband speeds. The culture secretary, Jeremy Hunt, said the funds would help ensure that speeds of 24Mbps become commonplace across the country. The money comes from the £530m fund set aside for 'Digital Britain' earlier this year. Hunt said. "Fast broadband is absolutely vital to our economic growth, to delivering public services effectively, and to conducting our everyday lives. "But some areas of the UK are missing out, with many rural and hard-to-reach communities suffering painfully slow internet connections or no coverage at all. We are not prepared to let some parts of our country get left behind in the digital age." Local councils across England and the Scottish government would receive a share of the funding – Wales and Northern Ireland have already received their allocation. Cumbria, Devon and Somerset and North Yorkshire are three of the councils set to receive the largest sums, with the councils expected to allocate the funds as best they see fit to achieve the goal of superfast broadband. With more and more of us looking to stream audio and video, the latter hopefully in HD, fast broadband speeds are becoming essential. So the government's promise to "have the best superfast broadband network in Europe" certainly sounds like a good on to us.